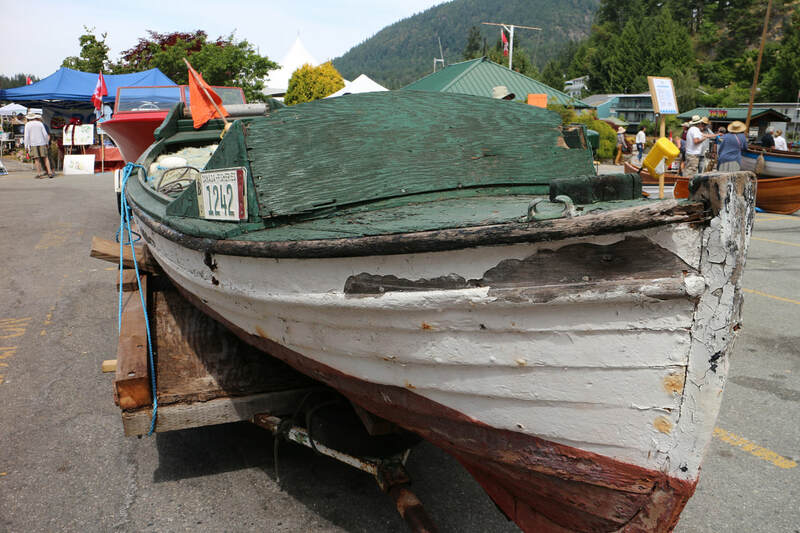 “Kickers” were a common boat in Pender Harbour in the 1940s. They were open wood boats, steered by a rope that ran around the sides to the rudder at the rear. They were economical to buy and operate but challenging to start and keep running. Margaret Wray "Scotty" Cameron used her 16-foot clinker-hulled kicker to fish Sakinaw sockeye. 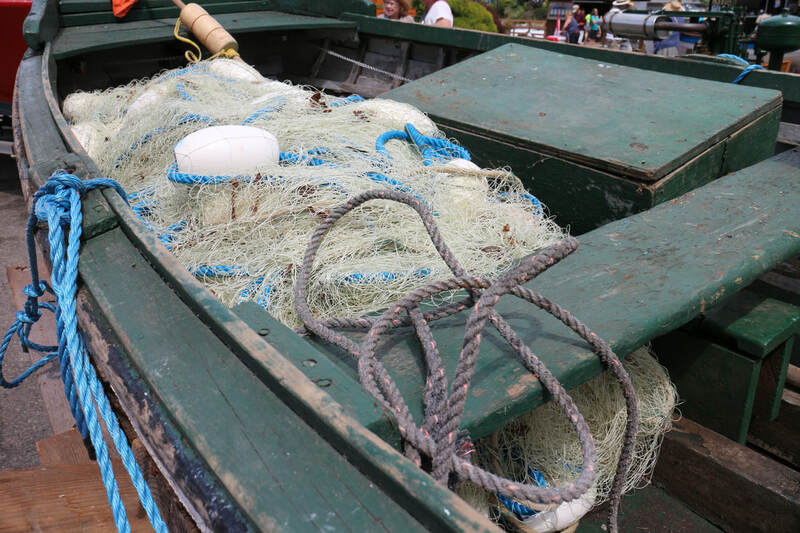 She also caught and sold live herring bait to the sportsmen who fished the harbour area. Her husband, Jim, bought the boat in 1946 for $325. It served her well for many years. 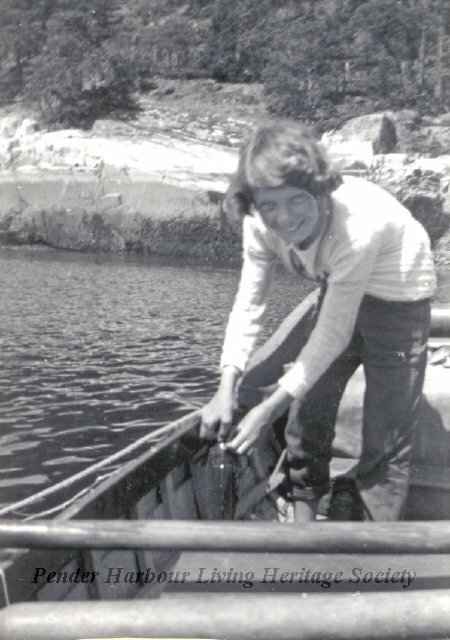 Margaret (Scotty) Cameron with a fishing net in her kicker boat, "Ole Betsy", in Lee Bay. 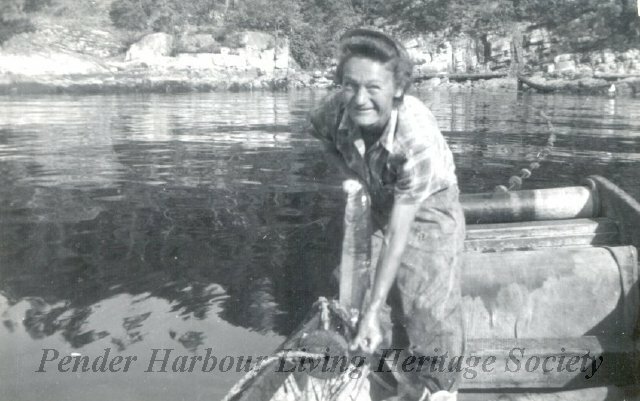 For many summers she gill-netted for Sakinaw sockeye in Lee Bay and, for four decades, she sold bait-herring to the fishermen of Pender Harbour. 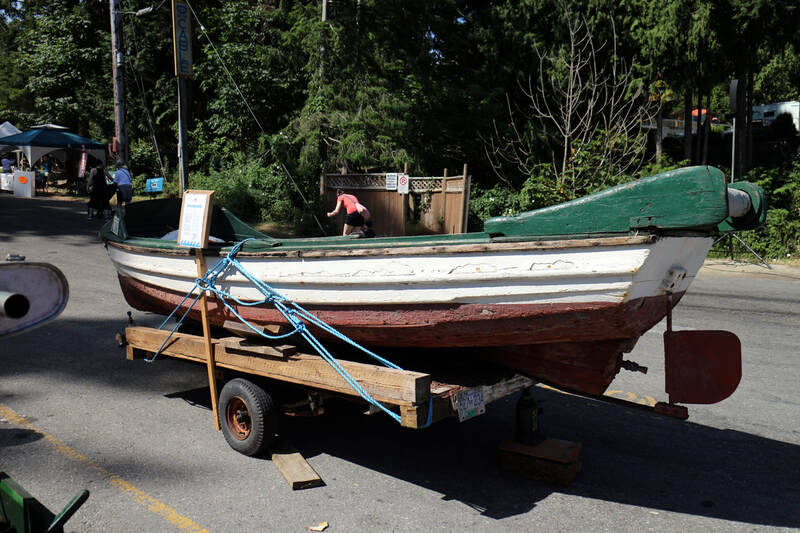 Kickers were small open wood boats, about 12-14 feet long with a small engine, and were the main means of transportation for women of the harbour in the 1940s. View the full archival record in our digital collection. Joanne Cameron in her mother, Scotty's, kicker boat, "Ole Betsy", in Lee Bay. She is working a net or setting a line. 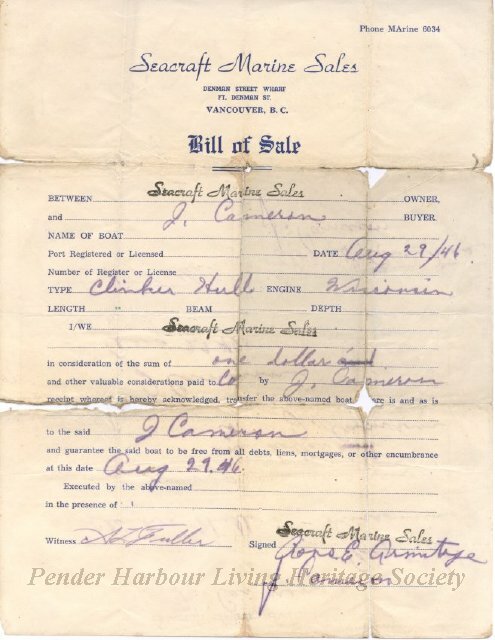 This is a Bill of Sale from Seacraft Marine Sales in Vancouver to J. Cameron transferring ownership of a 16' clinker-hulled kicker for $1 on August 29, 1946. The boat cost $325 and was named "Old Betsy".